America's wars in Afghanistan and Iraq are winding down and billions of dollars of military equipment is coming home. That gear, from high-tech weapons systems to soldiers' boots, is stored at dozens of military depots across the country. Sierra is one of those depots, occupying 36,000 acres of Lassen County high desert between Susanville and Reno. Most depots have a specialty and Sierra's is storing non-essential equipment. That is gear not included on a unit's standard list of authorized equipment – things like night vision goggles, rifle scopes, radios and generators. 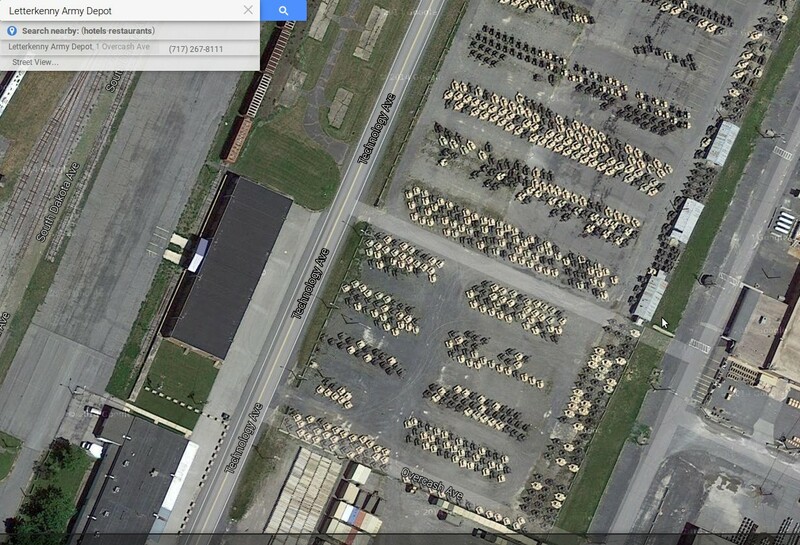 After watching Professor Doom's videos, I decided to use Google Earth to check out a few of the US Army Depot's myself to see what I could find out via the ever present 'eye in the sky'...to say that I found a 'few' military vehicles would be a huge understatement. To see that military vehicles are lined up EVERYWHERE surrounding underground bunkers at the Red River Army Depot in Hooks, Texas, only begins the mystery. While we KNOW that the Red River Army depot in Texas has historically been used as a location to store explosive ordinances underground, what we've found in the screenshots below bring up more questions than answers. 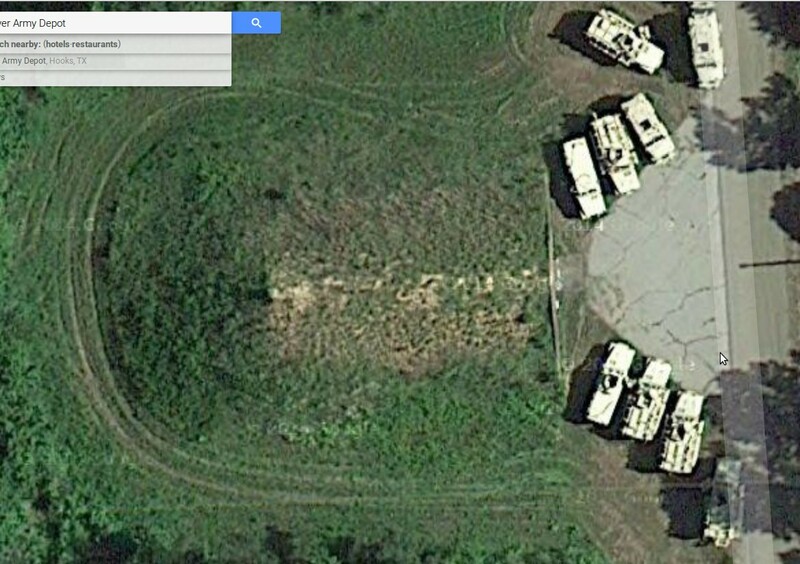 WHY are there THOUSANDS of military vehicles lined up outside of these underground bunkers? Are they dropping off munitions to be stored there or are they picking up munitions for their 'next battle', possibly here in America? 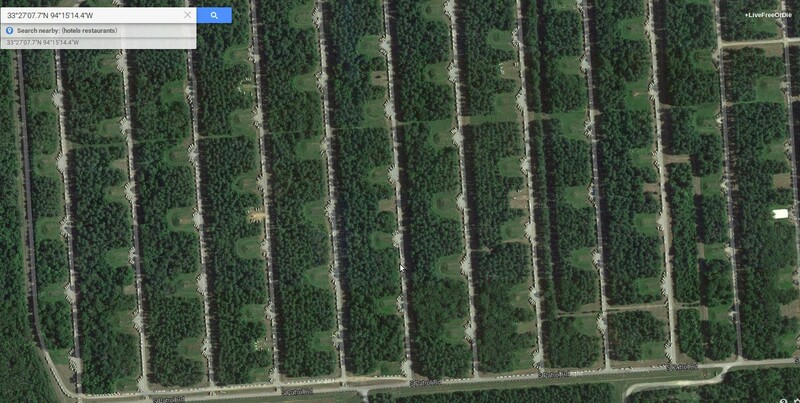 We also have to remember that many of these images for Google Earth were taken back in 2014...what is going on now? 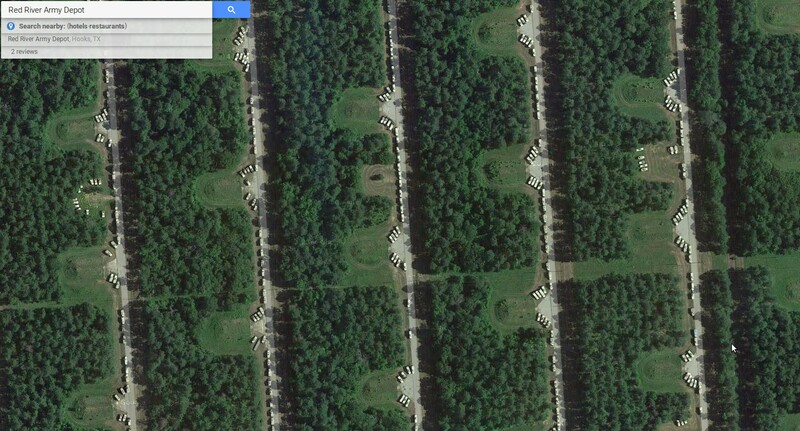 (You can check out all of these depots yourself by clicking on links to Google Earth). There are many more screenshots of what we've found below videos; we'd love to know what our readers think. We've also heard reports of UFO activity near Red River Army Depot as well as one report of a possible underground prison system at this location. 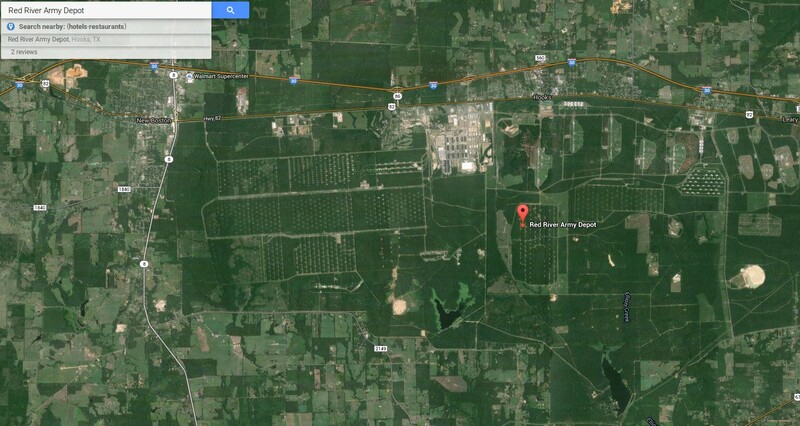 Is Red River Army Depot a secretive 'NWO' command center of some type? This next screenshot shows Red River Army Depot again further zoomed out...countless military vehicles surrounding underground bunkers that you'll see much more clearly upon zooming in seen next 2 images below it. This next screenshot is interesting as it shows the bunker roofs before they were covered over with grass. This screenshot shows the Red River Army Depot in its' entirety. 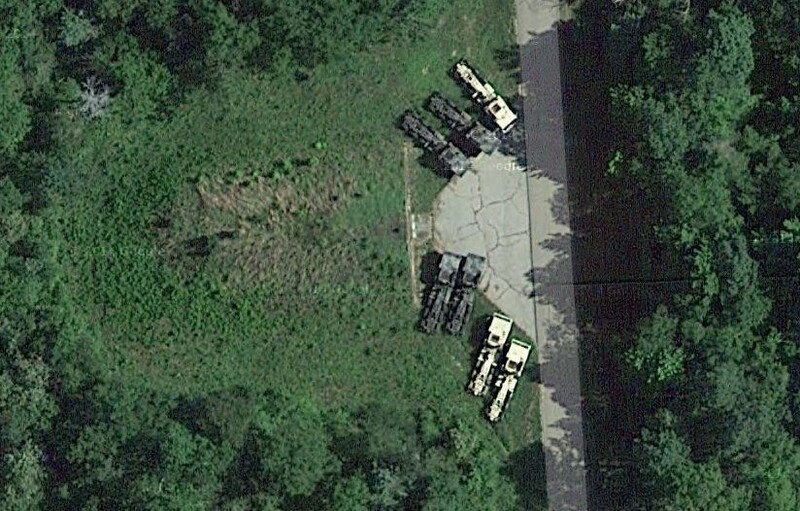 Storage of vehicles surrounding bunkers shown in more detail above is at middle/left of this screenshot. 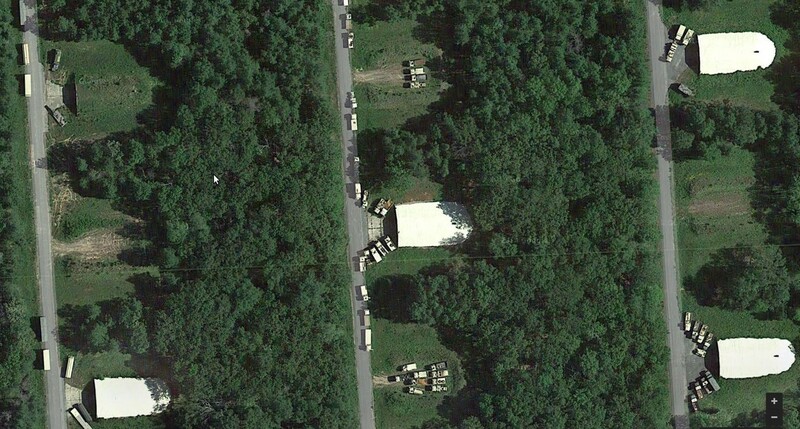 The Letterkenny Army Depot in Pennsylvania also houses many military vehicles, though not near bunkers but out in the open. 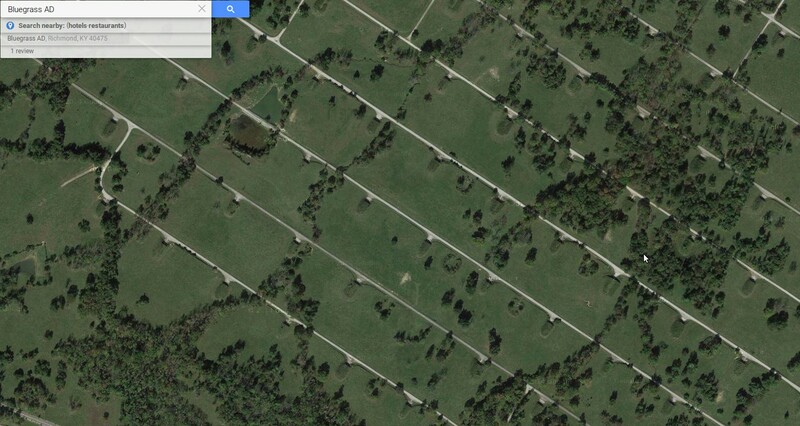 While Bluegrass Army Depot near Richmond, Kentucky also has the underground bunkers, presumably for the storage of munitions, we did not see any military vehicles lined up outside of their location on that particular day.